I drove by a farmer’s market in the Lents district of Portland yesterday–one I haven’t been to yet. (I’ve been trying to make my way around the metro area, visiting as many of the different markets as possible.) I had to stop! I’m surprised, actually, at how different each of the markets feel. Some are small, others much larger. Some have a variety of cooked food to buy and eat on the spot. Many have live music (which I love!). Although the fruits, vegetables, flowers, and honey are present at most of the markets, there’s sometimes unexpected surprises tucked in here and there. For example, at one market, I bought some purple potatoes and tried amazing arugula pesto. One of the markets has the huge, delicious tamales to buy hot and eat on the spot with verde sauce and sour cream. At another market I tasted my first ever Kiwi Berry and learned how to make my own solar oven. This past weekend, though, I was on a hunt for beets. And I found them. Big, deep red beets tied in bundles. And they were cheap–only a dollar a bunch. I almost bought the guy out of his stash. I also found a large, gangly bunch of dill. 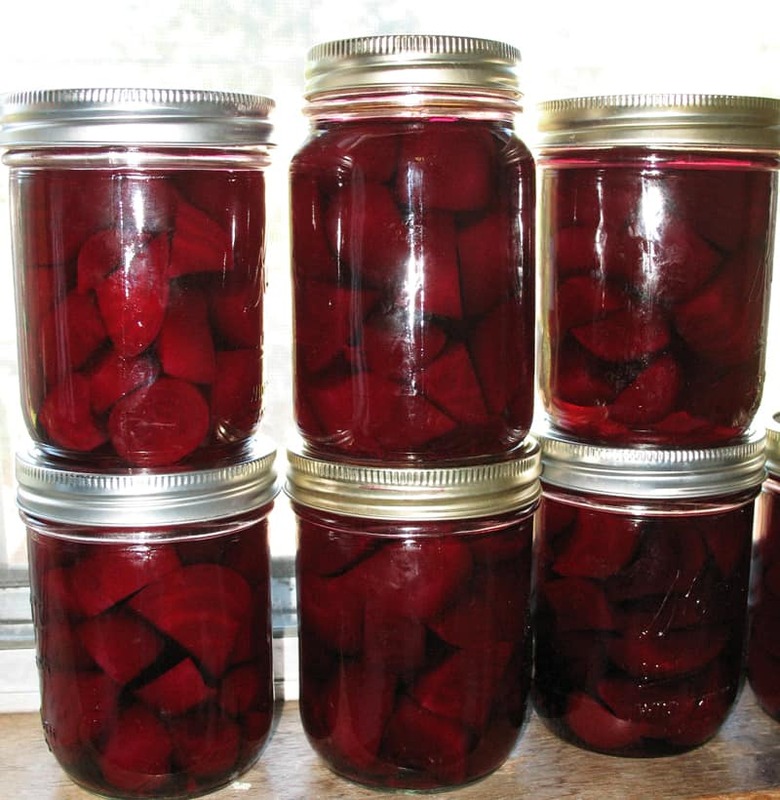 I brought it all home and made 12 pints of pickled beets. I love beets, but have never canned them. I found two recipes for pickled beets in a book I have on my shelf. One said to use cumin and cloves as a spice and one said to use dill. I picked the dill recipe, but then decided to can half of them without dill, just to see the difference. In the meantime, I’ve got enough dill to start a pickle factory. I’d like to can some dilled carrots (which I’ve never tried before) and some dilly beans. I think I’ll still have dill to spare, however. Does anyone have any ideas on what to do with it?